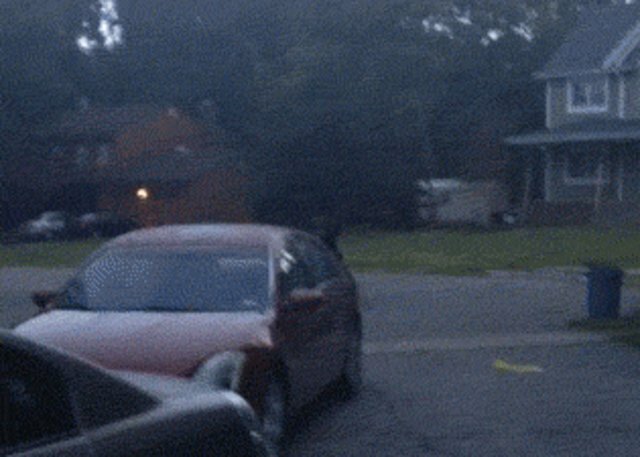 A bear that was seen strolling through New Jersey backyards on only his hind legs and then aptly dubbed the "bipedal bear" has appeared again. This time, the upright wunderkind was spotted in another garden in the state, munching on some bread a homeowner had left out for birds. 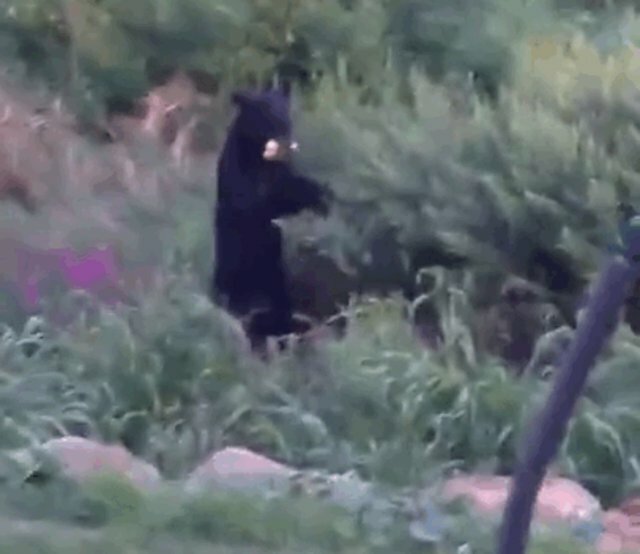 He teetered through the shrubbery, two feet on the ground and a chunk of bread in his mouth. 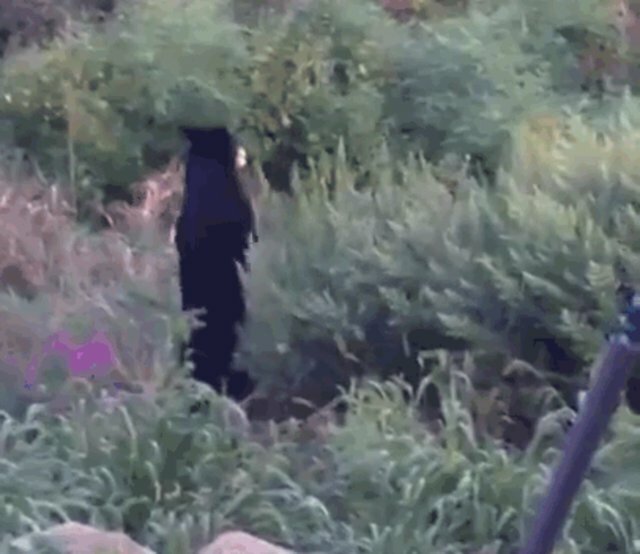 No one is getting in the way of the bipedal bear. As The Dodo pointed out back in August, the animal may have suffered an injury to one or both of its front paws, and adapted accordingly. 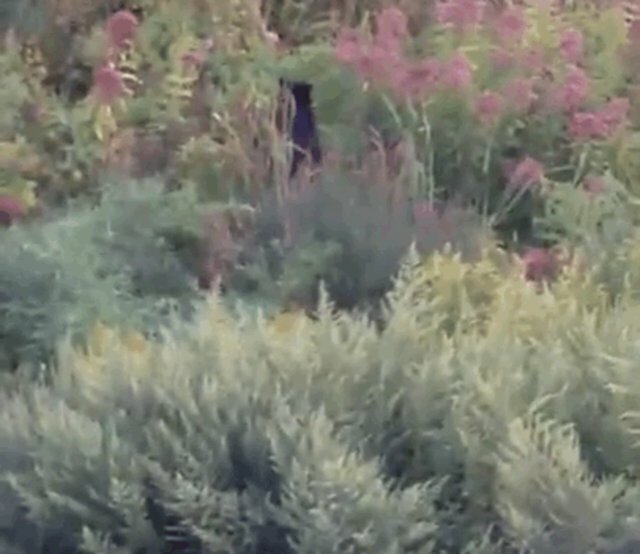 Over a month later, it seems that the bear's stride may be here to stay - though it doesn't look like it's hurting his chances of getting a bite to eat.